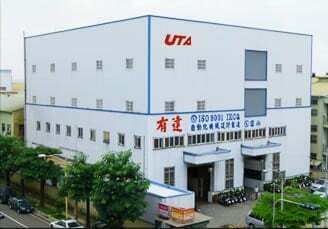 UTA was originally founded in 1980 from the assembly machine builder. We have developed and steadily grown to encompass the fastener assembly machines, wire connectors, andsealing washers. All the crews are dedicated to bring a cost effective and reliable solution to the wiring and the fastener industries. Customers from over 50 countries are using UTA machines or products. The team is very experienced in the multi-nation business, and dedicated to providing the customized service, with the bonded strategy partnership. Thanks for reading UTA, we look forward to receiving your comments soon.